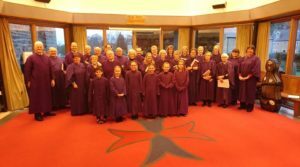 St Robert’s has a traditional robed choir which has been affiliated to the Royal School of Church Music (RSCM) since 1981. At present it has an adult and children membership. The children work towards gaining their awards in the RSCM ‘Voice for Life’ training scheme. 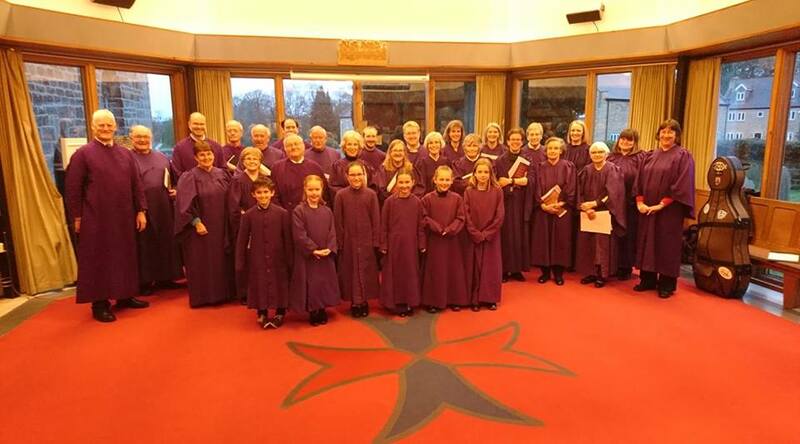 Several of the choir currently sing with the RSCM Northern Cathedral Singers; and we have provided singers for this choir – both children and adults – over many years. The choir rehearses weekly on a Thursday evening, except at Half-term and during the Summer holidays; children from 7.00 to 7.50pm and adults from 7.30 to 8.45pm – frequently followed (voluntarily) by a visit to the Black Swan to lubricate tired vocal chords! The Choir has an active social life and members regularly get together for a meal, drink or perhaps a visit to a show or other performance. Following the Christmas Festival of Nine Lessons and Carols, an evening party, hosted by choir members, has become a most enjoyable tradition. Every two years, the Choir organises a Mid-summer Barbecue for church members, their families, friends and neighbours in aid of church funds……always a successful and fun occasion. If you are interested in you and/or your child(ren) joining the Choir, or would simply like to find out more about their activity, please contact the Director of Music, Kevin Paynes; 01423 872651 kevin.paynes@ntlworld.com or Sarah Paynes; sarah.paynes@ntlworld.com. On Ash Wednesday (March 6th) there was a special Choral Eucharist with Imposition of the Ashes. The setting was a new Missa Brevis – ‘Forty Days and Forty Nights’, written for Lent by Nicholas Hare. 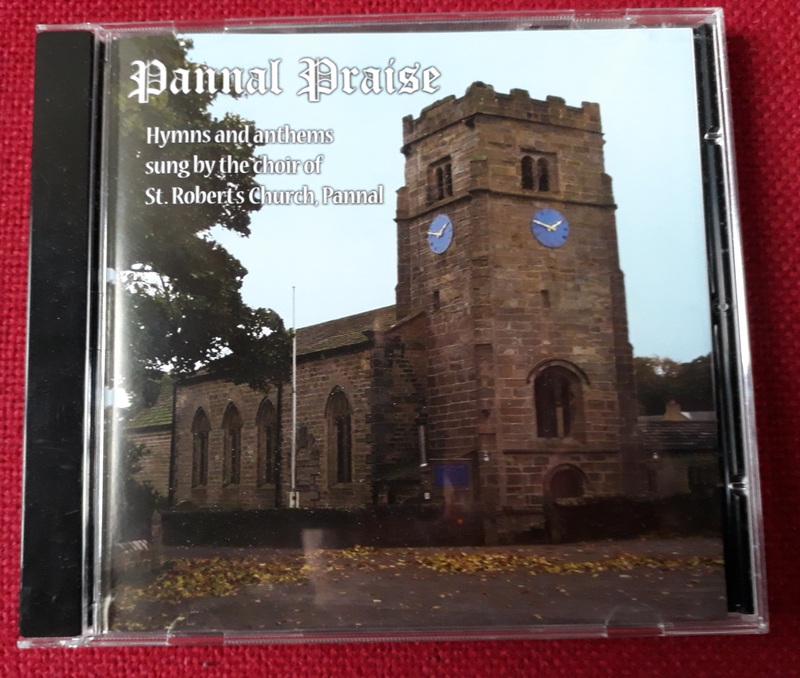 It is a ‘parody’ Mass based on the Lent hymn of the same name and in a late-sixteenth century style reminiscent of William Byrd, whose Agnus Dei from the ‘Mass in Four voices’ is explicitly quoted. On Palm Sunday (April 14th) the choir presented the devotional choral sequence ‘The Way of the Cross’ which included readings and seasonal hymns for the congregation. On Good Friday (April 19th) the late night Office of Compline will be sung at 9.00pm……all are welcome to come and join in this contemplative service as we reflect on the happenings of Holy Week and look forward to Easter morning and the Resurrection. To give you an idea of the venues attended, here is the full NCS programme for 2019. What better present for a music-loving friend or family member, could there be than THE CHOIR’S CD?! Tracks drawn from your favourites – take a look. They are on sale now at only £5 – just speak to Sarah Paynes….or give her a ring on 01423 872651. If it’s for a present, you can get one or more already beautifully gift wrapped and ready to be presented to the lucky recipient.